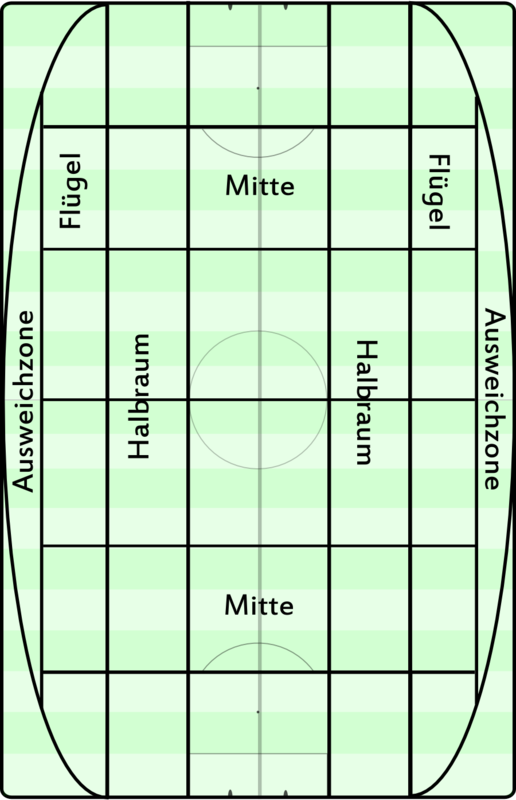 “Juego de Posicion” is a widely unknown concept in Austria and Germany. To coaches in Spain and the Netherlands it is a philosophical ideal that few know how to coach. In German-speaking countries, however, “Positionsspiel” has a different, more simple definition that loses many of the important aspects. But, more importantly, what is “Juego de Posicion”? The players will have specific tasks and responsibilities within these zones depending on the phase of the game. The unique thing about this concept is that the options are predetermined by the position of the ball. If the ball is on the left wing at midfield, then the zones that must be occupied are entirely different than when the ball is on the right half of your own 18 yard box. The team must use continuous ball-oriented shifts when in possession. These shifts must be coordinated to give the team as many passing options and running lanes as possible while simultaneously causing the opposition problems. Short passes, switched balls, and the rotation of the ball’s position are all important tools that are defined by the complex positional tasks assigned to the players. Is this how Guardiola’s pitch always looks like? This basic idea is used by Louis van Gaal who is also accused of being highly dogmatic and using a rigid system. However, this misses the point. The goal of “Juego de Posicion” (or “Positiespel”) is that the zones and the tasks within them are flexible and can be occupied and used by different players. There are usually problems in the implementation in training or the adjustment and understanding of the players. Rigid positions and an extremely dogmatic style are created specifically for when the players don’t know when to leave their positions or aren’t confident in the other positions. There are also guidelines for this. Triangles should be formed in order to maintain short passing combinations. The ball carrier should have two or, ideally, three passing options (in diamond rather than triangle shapes) nearby. Further passing options extend from these shapes and should arise throughout the team in an organized and connected manner. The triangles emerge from the fact that no more than three players may be in a line horizontally and no more than two players in a line vertically. If a player moves onto the same line as another player in order to offer himself for a pass, the other must switch to another line. By doing so, you can pass around the opponent or draw him in and then shift. At Bayern, you can see this on the wing; if Robben hugs the touchline, then the full-back indents or pushes inward. However, if the full-back pushes to the wing, then the winger moves towards the half-space. This ensures the nearest eight or the defender at the back always have two passing options. The pass patterns, the formation and the tasks of the ball carrier and the players near the ball depends on the playing philosophy of the coach. Thus, in addition to the positions occupied and the short passes, the possession and rotation of the ball is crucial. This can also lead to dogmatism. Could a grid also look like this? It is not an end in itself but is designed to move the opponent so that you can get through them with your attacks. Only if that doesn’t work are you allowed to circulate the ball for a moment without attempting to attack. You regroup, take shape around the opposition and try again. However, there is also a perversion of this idea that causes a lot of criticism. If possession alone is the philosophy, then there are problems. The Spanish national team under Del Bosque has not implemented “Juego de Posicion” yet the Spaniards have always enjoyed a lot of possession. This was primarily used in 2010 and 2012 as a defensive method. This “Tiki taka” does not reflect the basic intent of “Juego de Posicion” and can be practiced without even using positional play. Teams that use tiquitaca are often susceptible to having a lot of ineffective possession. This is not a tactical method but a consequence of lacking effective positional play. It will be difficult to generate attacks, requiring you to restart your buildup over and over again, and in doing so become sluggish, which leads to absurd possession numbers. This should not, however, lead to criticism of positional play itself. It is a neutral concept that has many advantages and does not follow a particular philosophy. As you can see, Juego de Posicion is an interesting offensive concept which is often neglected in many other countries. Every coach has his own mechanisms and can install his own patterns into the structure. The basic ideas can also be used on defense. Roger Schmidt uses similar zones to Pep Guardiola to serve as landmarks for his team’s defensive work. Coaching this style is complex. The trainer must be aware of the impact of the ball’s position on the structure of the game and know the characteristics of his players in order to design the formation, processes, and tasks; not to mention how he will coach them. A coach has several tools for training the concept including verbal coaching, using lines painted on the field as landmarks, designing situational exercises, and creating training games. You can find the original, German article on abseits.at under this link. Adin will soon publish a big article on the topic on SV.com while I am planning a series about JdP on our German site. SIr, I couldn’t understand the last sentence. If the winger is moving towards the half space and a full is overlapping him, how will this ensure the 8 and a central defender have two passing options? Are you stating that the winger and FB become the options? I think RM meant to explain that in juego de posicion (most) teams/coaches want only one player to occupy the wing. That is in most cases a FB or a winger. So if you want to utilise a FB in attacking (-> as a higher passing option) you need him to react to the movement of the winger (and vice versa). If the winger stays wide the FB has to move to a more central position (No.10-space) and with the FB bombing up the touchline the winger will move to the center. 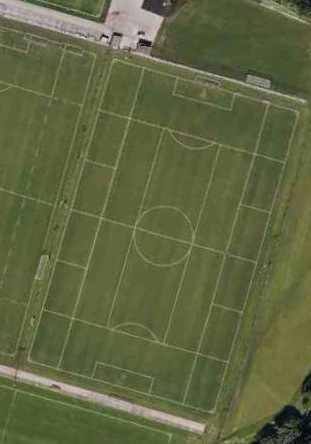 If both occupy wide areas the teams presence in central areas is weaker and there are less options to control the game. One player on each wing is usually enough to stretch out the opposition. other options to obtain a one-man-occupation of wide areas would be very deep FBs or no FBs at all (-> back-three). While the former would also weaken the center, Juego de posicion often utilises formations without a back-four. Great article and analysis. Can this be applied to youth soccer? 13- 16 year olds? Keep up the good work. From the information above I think trying to explain and coach this to youth players would be too difficult and confusing for them. I would say its very much an elite style of play in the adult game and as RM said very few can coach it effectively. Great work! A video analysis of the above would make the work perfect!!!!!!!!!!!! !